I was delighted to read Will Lyon’s article in the Wall Street Journal – “Why Piemonte is the new Burgundy.” I’m always thrilled to see Piemonte get such positive, enthusiastic ink, particularly in the Journal. I’m even more delighted to see Punset amongst the list of recommended wines since it’s long overdue for feisty organic pioneer Marina Marcarino and her wines to receive such accolades! So my hat is off to Mr. Lyons for such a nice article; I must respectfully demur, however, and note that Piemonte is not the new Burgundy. Nor the old. Piemonte is Piemonte. And, as Barbaresco producer Giovanna Rizzolio pointed out, it is Italian. 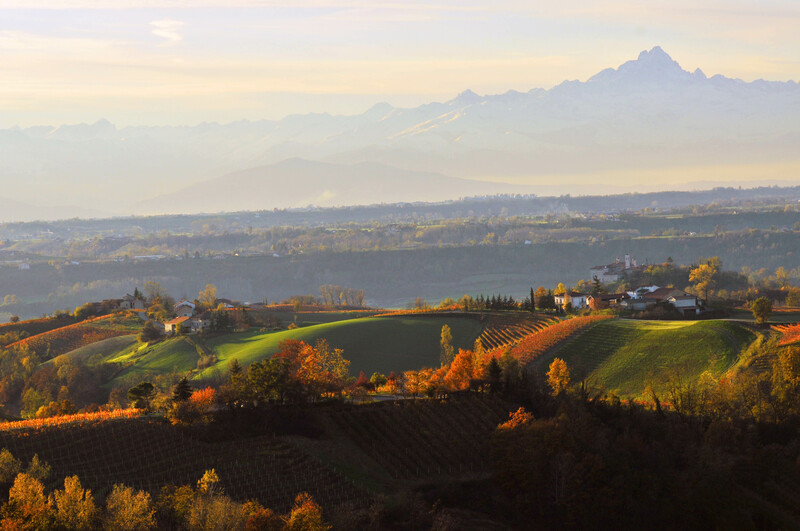 Breathtaking autumnal view of the Langhe’s vineyards with Monte Viso standing guard to the west. Piemonte has its own heart and soul that is reflected in its wines. And its heart and soul emanate from the cornerstone of the region – the wine families. It’s a little sad – at least to me – that Piemonte’s wine families were not mentioned. Without their indomitable spirit and unyielding drive, the incredible oenological delights wine lovers are finally recognizing would not be possible. 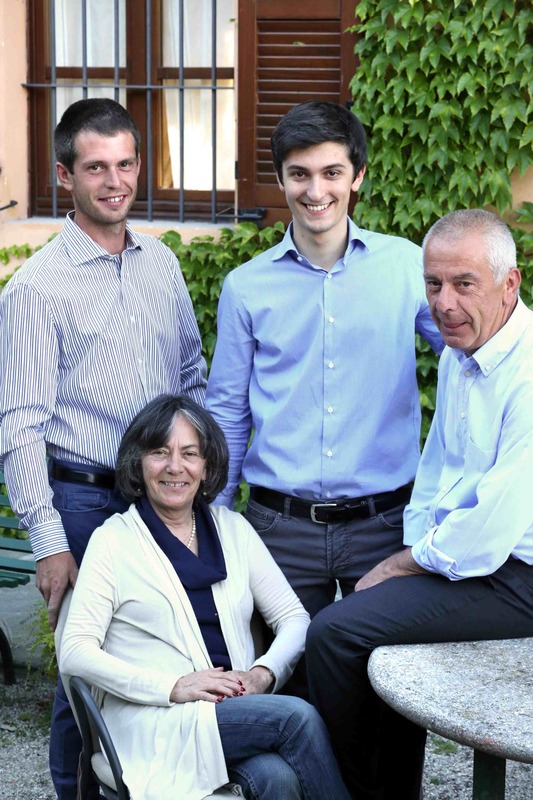 Ornella Correggia whose courage in the face of unfathomable grief made it possible for her children Giovanni and Brigitta to be one with their late father’s vision of Roero at the winery that bears his name – Azienda Agricola Matteo Correggia. Giovanna, Italo with Davide (left) and Riccardo (center). the Rocca sisters – Daniela, Paola and Monica – of Albino Rocca in Barbaresco whose own beautiful oenological signature was written on their 2013 Barbaresco, their first vintage to emerge on their own without their late father, Angelo Rocca. 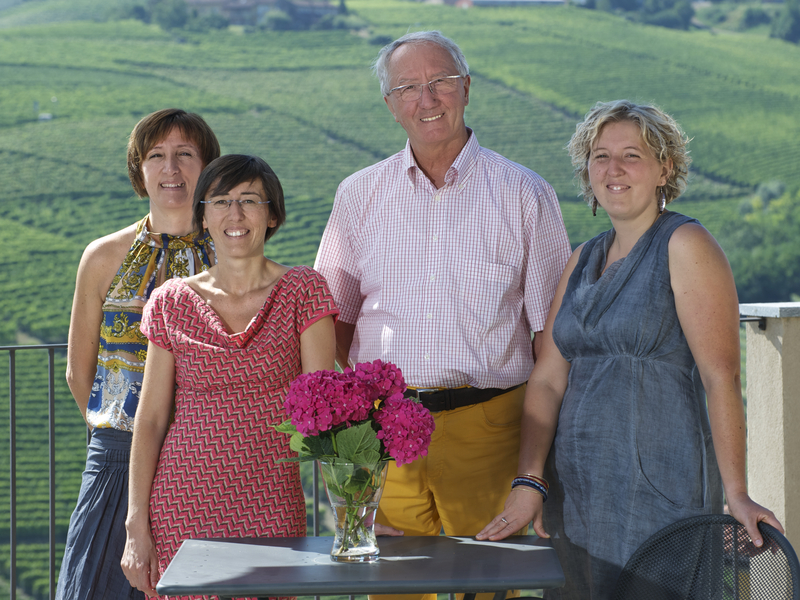 The Rocca sisters – Daniela, Monica and Paola – with their late father and Barbaresco visionary Angelo Rocca. Joined through the marriage of Paola Grasso and Carlo Deltetto, Cà del Baio and Deltetto wineries will share the future through the next generation – Lidia and Anna Deltetto. Incidentally, I don’t believe Piemonte is the “new Burgundy.” Piemonte is AND ALWAYS WILL BE Piemonte. I kind of feel passionate about that if you haven’t noticed! 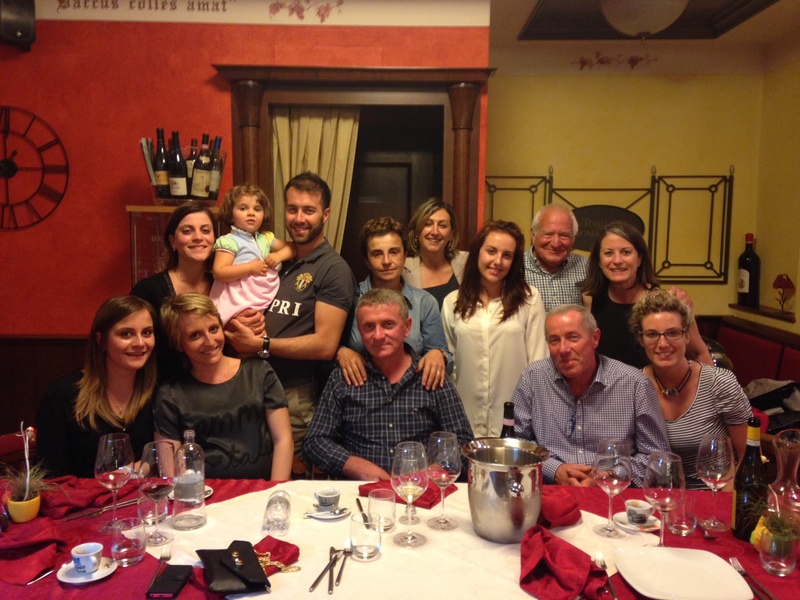 Please never forget that the soul of Piemonte’s wines are forever tied to the families who create them. Their’s truly is a labor of love! I enjoyed both Will Lyons’ article and your piece here. I think his main point matches perfectly with yours, no disconnect. He correctly points out the region supports many small winegrowers. As for the list at the end, I only personally know one of the people, but their story is of family and passion as well. I would agree, Piemonte isn’t another Bordeaux or Burgundy, it has its own story to tell. And they could have picked a better graphic, the one they chose is awful! As to your piece here, lovely, concise depiction of a few of the many intriguing families in the region. Well done!